The filming and recent airing of the HBO film Bessie, which stars Queen Latifah as Bessie Smith, serves as a perfect excuse to look back at the music and life of the woman who was accurately billed as the Empress Of The Blues. When Bessie Smith made her recording debut in 1923, she was not the first blues singer to record. Mamie Smith’s “Crazy Blues” in 1920 had been such a major hit that it began a blues craze with scores of African-American female singers being documented. While many were quickly forgotten, Ethel Waters and Alberta Hunter were the biggest discoveries before Smith finally appeared on record. She was also not the first jazz singer to record, being preceded by most notably Cliff Edwards (Ukulele Ike) and Marion Harris. However Bessie Smith soon became widely recognized as the most important female blues and jazz singer of the 1920s, and her impact can still be felt nearly a century later. A listen to some of Bessie Smith’s recordings from 1923 and early 1924 can be a revelation. The recording quality is primitive and much of her accompaniment, even from such pianists as Fletcher Henderson and Clarence Williams, is barely adequate. And yet Smith ignores everything else and sings with power, sincerity and passion that still communicate very well to today’s listeners. It is not just the volume of her voice or her general sassiness and strength. There is an intensity to her interpretations that lets listeners know that she will not stand for any nonsense, that she is a strong independent woman, and that she is a force to be reckoned with. Bessie Smith Photographed by Carl Van Vechten. Public domain via Wikimedia Commons. Bessie Smith was born in Chattanooga, Tennessee on 15 April 1894. Not only did she grow up poor and black in the South but she lost both of her parents before her tenth birthday. Smith sang in the streets after school, gaining important experience while raising some money for her family. In 1912 when she was 18, she joined the Moses Stock Troupe as a dancer and an occasional singer. She traveled with the company throughout the South and learned about show business and life from their main vocalist Ma Rainey who is considered the first blues singer. Smith switched her emphasis from popular songs to the blues during this period. Bessie Smith’s singing talents were very obvious as she entered her twenties and worked with other troupes. Her charismatic performances were often hypnotic not only due to the power of her voice but in the directness and truth of the words that she sang. Although the first wave of the blues craze somehow missed her, in 1923 she had her chance. Her very first released recording, Alberta Hunter’s “Downhearted Blues,” was a major hit that eventually sold 800,000 copies. During 1923-33 Smith recorded 160 songs and those often-timeless recordings are Bessie Smith’s musical legacy. In her recordings, Bessie Smith (as with virtually all of the singers of the era) did not sing directly about racism. 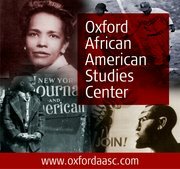 Her label (Columbia) would not have released anything that could offend whites in the South. But while many of her recordings dealt with the ups and downs of romances, she also sang about the difficulties of poverty, being treated poorly by men, and even about a few topical events such as floods (“Backwater Blues”). While she did not mince words, one always felt that she would overcome her difficulties. There were also bits of humor in some of the lyrics along with an occasional more light-hearted and jazz-oriented piece. Among the songs that she turned into classics were “’Tain’t Nobody’s Biz-ness If I Do” (which later on was a hit for both Billie Holiday and Jimmy Witherspoon), “Careless Love,” “Backwater Blues,” “Muddy Water,” “Send Me To The ‘Lectric Chair,” “Mean Old Bed Bug Blues,” “Empty Bed Blues,” and “Nobody Knows You When You’re Down And Out.” Both the recording quality and the quality of her sidemen improved by 1925. Louis Armstrong on cornet holds his own with Bessie Smith (and vice versa) on “Careless Love” and “St. Louis Blues,” the superb stride pianist James P. Johnson is perfect on a series of late 1920s recordings, and other favorite players included cornetist Joe Smith and trombonist Charlie Green. Smith also starred in the 1929 short film St. Louis Blues, her only movie appearance. Unlike many of her contemporaries, Bessie Smith was able to adapt to changing musical and social conditions. She survived both the end of the blues craze and the Depression although the latter and the collapse of the record industry resulted in her only having one record date after 1931. She musically reinvented herself from a blues singer into a bluesy jazz vocalist, a move that unfortunately was not documented on records. 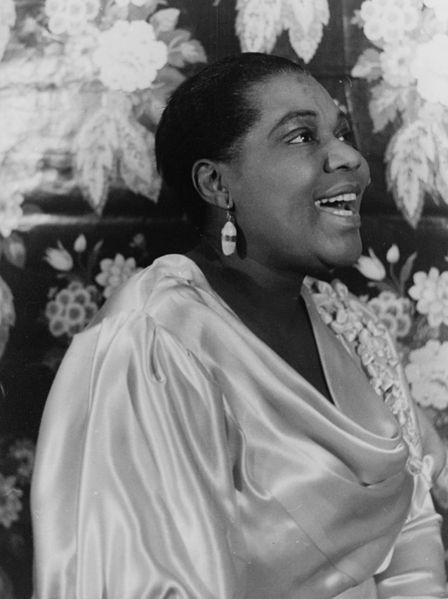 In 1935 Bessie sang at the Apollo Theater and appeared in several shows, gearing herself for what would certainly have been a major comeback during the swing era. It took the tragic car accident of 26 September 1937, which resulted in her death at the age of 43, to stop her — but nothing, not even the passing of 90 years, lessens the impact of the recordings of the Empress of the Blues. Scott Yanow is a jazz reviewer, historian, and author of many books on jazz, including The Great Jazz Guitarists: The Ultimate Guide, The Jazz Singers: The Ultimate Guide, and Jazz: A Regional Exploration. I got to here: “Ma Rainey’s “Crazy Blues” in 1920,” stopped. And then decided I wouldn’t read farther. Everybody needs an editor. I want to point out, though, that is was Mamie Smith, not Ma Rainey, who recorded “Crazy Blues” in 1920.